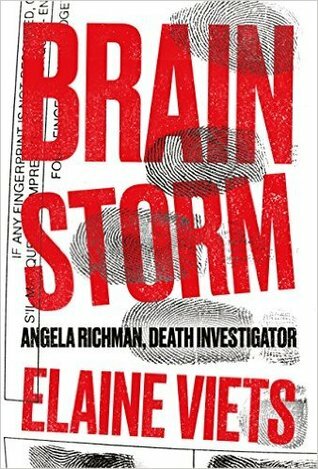 The ultrawealthy families of Chouteau Forest may look down on a woman like death investigator Angela Richman, but they also rely on her. When a horrific car crash kills a Forest teenager, Angela is among the first on the scene. Her investigation is hardly underway, however, when she suffers a series of crippling strokes. Misdiagnosed by the resident neurologist, Dr. Gravois, and mended by gauche yet brilliant neurosurgeon Dr. Jeb Travis Tritt, Angela faces a harrowing recovery. It’s a drug-addled, hallucinating Angela who learns that Dr. Gravois has been murdered…and the chief suspect is the surgeon who saved her life. Angela doesn’t believe it, but can she trust her instincts? Her brain trauma brings doubts that she’ll ever recover her investigative skills. But she’s determined to save Dr. Tritt from a death-row sentence—even if her progress is thwarted at every turn by a powerful and insular community poised to protect its own.